Through the form below, we accept new pledges and one-time gifts. To make a new pledge, please choose the "Recurring" option below and select the duration for your pledge. If you would like to make a one-time donation, please select the "One-Time Gift" option before entering your payment information. 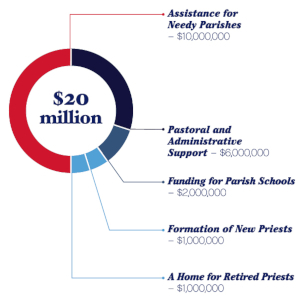 If you have already made a pledge to the Cardinal’s Appeal and would like to make a payment towards your pledge, please contact Jonathan Rodriguez at 646.794.3272 or jonathan.rodriguez@archny.org; please do not use this form.